At more than 82,000 lb. 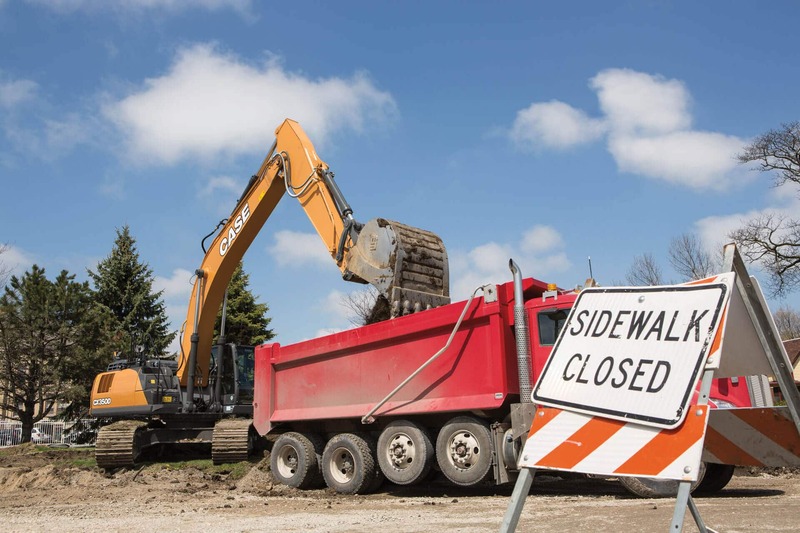 and with digging forces over 56,000 lbf (249 kN), the CX350D D Series excavator delivers improved power and performance while combining more efficient systems and greater cab comfort. 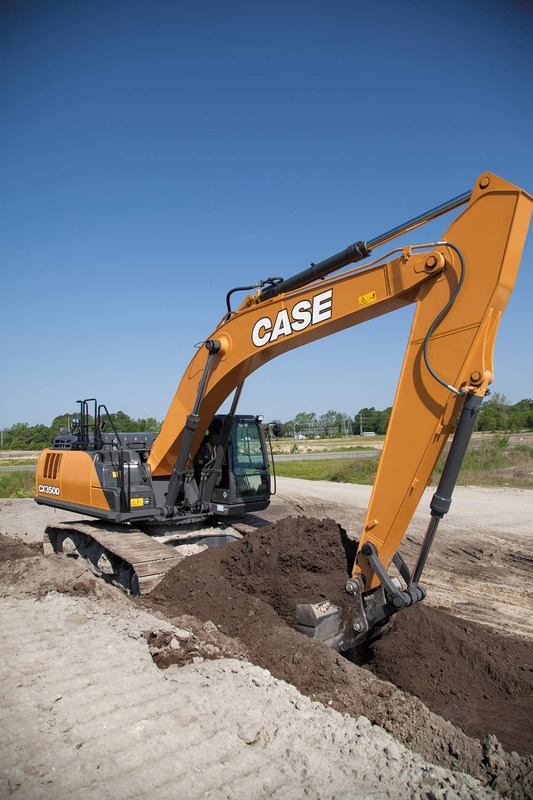 With the exclusive CASE Intelligent Hydraulics System, stronger components and a powerful Tier 4 Final solution, it features leading increases in speed, strength, control and fuel efficiency, while also offering incredible cab comfort. 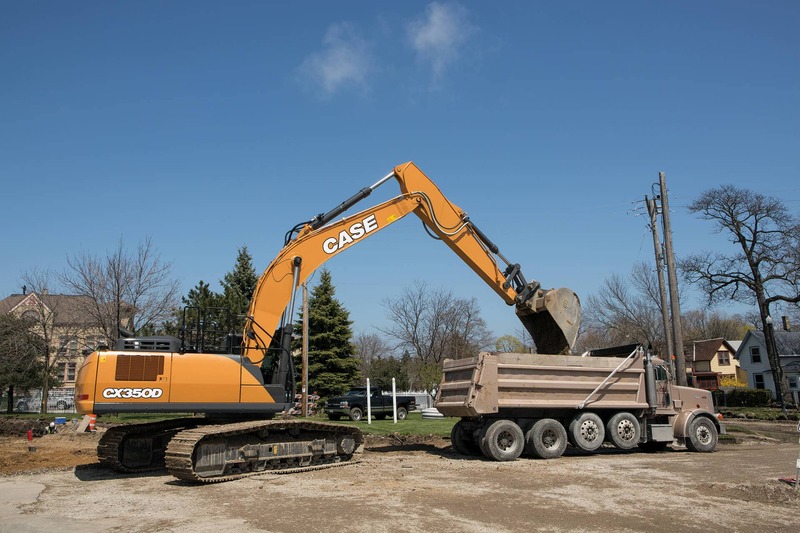 Best of all, it's backed by the standard protection of ProCare allowing owners to focus on the job while CASE takes care of the rest. 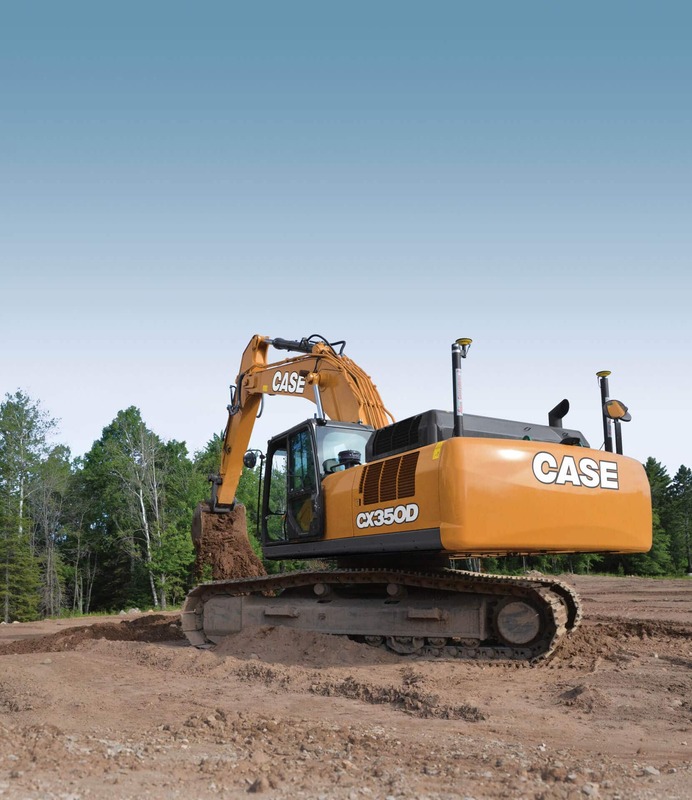 The CX350D is a machine designed to improve profitability by decreasing cycle times and lowering operating costs. 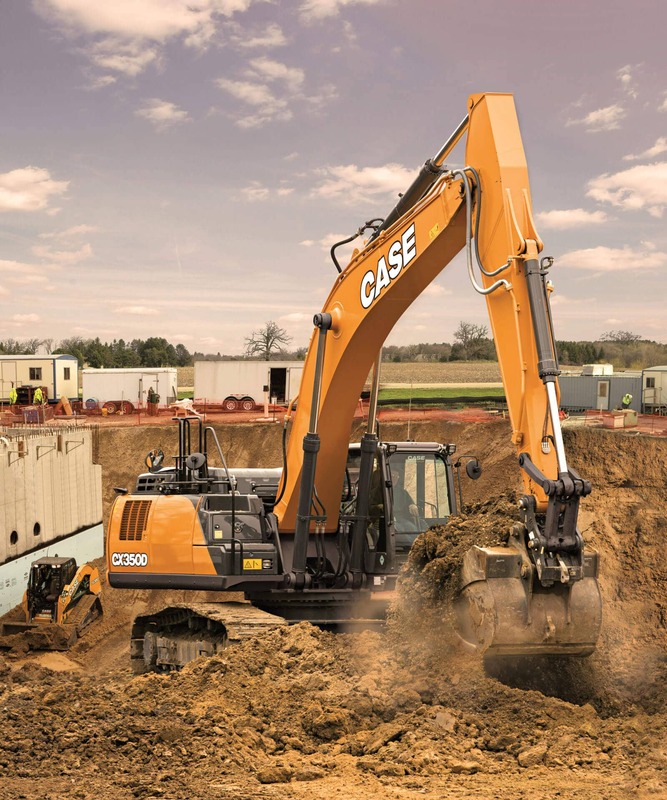 At the heart of its productivity is three selectable power modes and the CASE Intelligent Hydraulics System (CIHS), which actively monitors and manages power output throughout the entire work cycle. 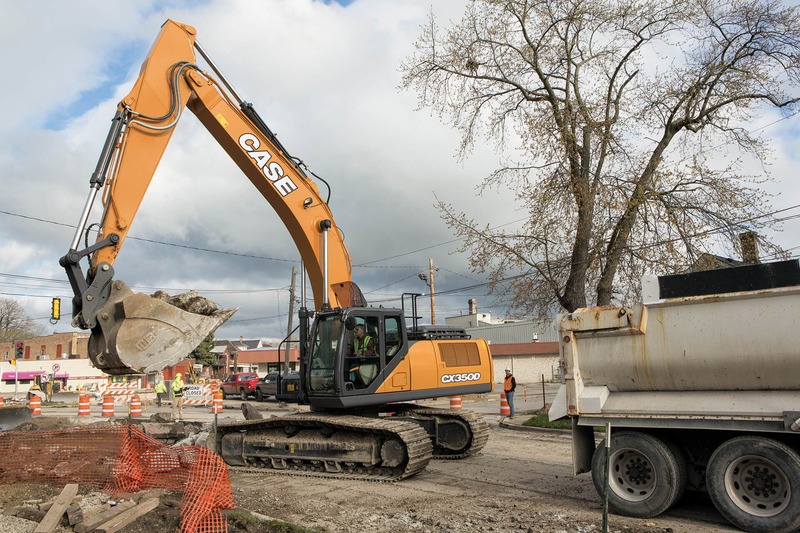 This improves efficiency and gives operators greater feel and finesse, providing precise control down to the inch without sacrificing strength through the dig and lift cycles. 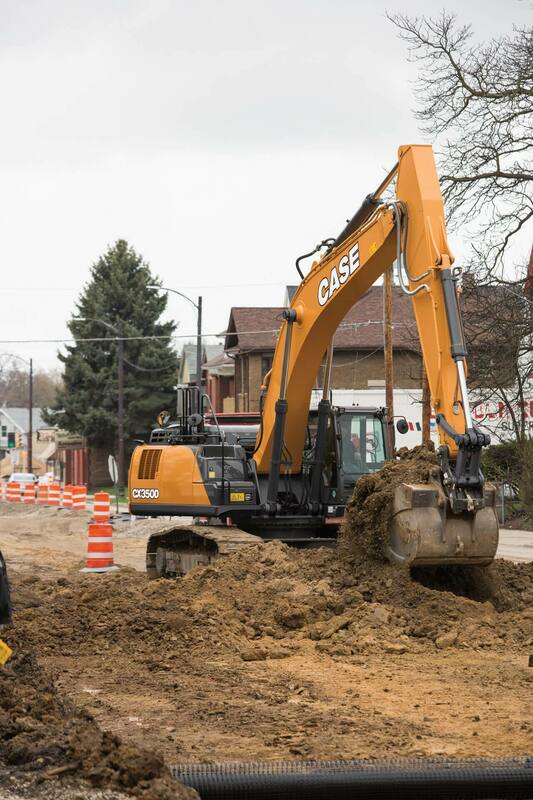 Quicker cycle times and increased power are a direct result of an electronically controlled pump and larger control valves, and in addition to hydraulic enhancements for performance, the D Series also features a stronger undercarriage and the arm and boom for more durability and power. Other standard functions include Free Swing for better control when craning or placing and 10 programmable attachment presets to save time when switching tasks. To meet emission regulations, the CX350D has a reengineered Tier 4 Final solution with SCR technology (Selective Catalytic Reduction) and a DOC (Diesel Oxidation Catalyst). This system requires no DPF (Diesel Particulate Filter), which means no expensive DPF replacement costs and no regeneration downtime or associated temperature spikes. The result is a cleaner burn, uncompromising power and increased fuel efficiency – as much as 8-percent greater efficiency than the already impressive C Series – while still being easy on the operator. Simply add DEF (Diesel Exhaust Fluid) when fueling up. A best-in-class cab space features excellent visibility, fully adjustable controls and a large color monitor with a standard rearview and side-view cameras. The viscous-mounted cab is fully pressurized, offers plenty of entry room and foot space and has a standard heated air-ride seat that can slide, tilt back 65 degrees and adjust the lumbar support to reduce pressure points. An innovative armrest design adjusts independently of the controls and common functions such as horn and radio mute are conveniently located on the joysticks. Other standard amenities include Bluetooth radio and an auto-temperature control system. 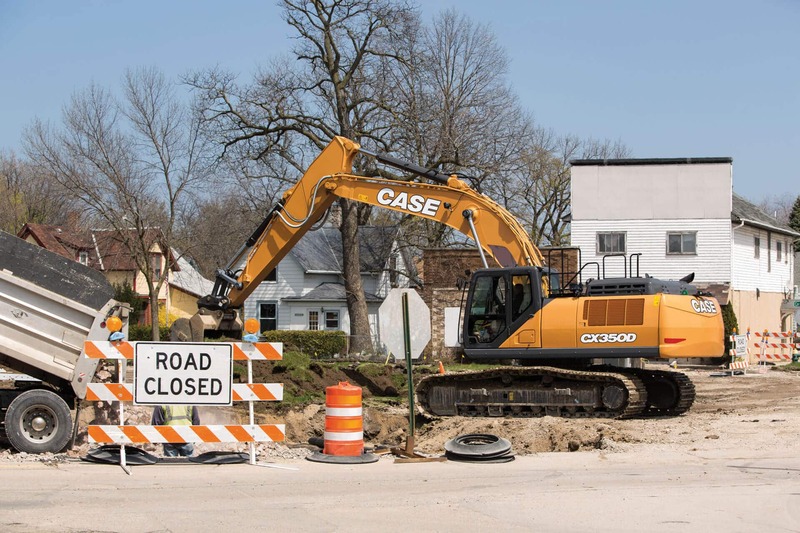 For even greater visibility, LED is available and the CASE Max View option includes an additional side camera to display a 270-degree aerial view around the machine. Several serviceability features work together to make it easy for owners to maximize the life, performance and uptime of their investment. Oil sample ports come standard to allow for quick contaminant checks, routine service points are grouped together to help save time, and many key components are accessible from the ground. The coolers also feature debris screens that can be easily removed for quick cleanout. Plus, the protection of ProCare includes a 3-yr/3,000-hr planned maintenance package.